for you. Choose from a range of terms, interest rates and payments. Invest from £1,000 with a choice of two market beating returns. Your money is lent to Amicus Finance plc, an award-winning short-term finance specialist. Amicus helps its customers finance property purchases and developments. You have the opportunity to invest in any given month giving you the advantage of being able to start earning interest right away from the relevant commencement date and a choice of two investment terms; 4.32% p.a. for 12 months or 5.43% p.a. for 18 months. At the end of the term, you will receive your capital back. Amicus will use the funds to provide loans of up to 6-18 months duration to their customers, secured via a first or second charge over UK properties. Your capital is secured over the assets and business of Amicus currently totalling over £50m (as of October 2016) including loans to customers, secured on UK property. It’s pretty simple - if you lend £1,000, you would receive on the 12 month option £43.20 interest per annum; and on the 18 month option £54.30 interest per annum. The interest is paid directly into your Innovative Finance ISA account or bank account. You don’t need to reinvest your interest to receive these great rates. And if you choose the quarterly option, you are free to save or reinvest your interest payments, and earn even more. We want you to make the most of your money so we don’t charge you any fees for lending.  • The Personal Savings Allowance - you can earn up to £1,000 of interest from your savings and your peer to peer investments tax-free. To potentially benefit from the Personal Savings Allowance on a Amicus peer to peer investment simply click the 'Invest now' button on this page and open a Crowdstacker P2P Lending Account. Amicus already has an extensive portfolio of loans comprising mainly of residential property — with around 55% located in London and the South East — and has a highly experienced management team. Since its formation in 2009, Amicus has applied a rigorous approach to risk, seeking out superior lending propositions and limiting borrowing to 70% of a property’s value. This strategy has been successful; to date they have financed over 1,500 loans totalling over £1 billion and they have had the capital returned in over 99.89% of cases. Amicus has won 7 awards in 2016 alone including the Development Lender of the Year 2016 at the Bridging and Commercial Awards.  Crowdstacker is an award winning peer to peer investment provider. We aim to bring you a higher standard of curated investments that have been heavily scrutinised and crafted with a focus on risk mitigation. Your capital is secured over the assets and business of Amicus currently totalling over £50m (as of October 2016) including loans to customers, secured on UK property. You have a choice of 2 rates of return - either 4.32% p.a. over 12 months or 5.43% p.a. over 18 months. Special terms and conditions may be available for loans in excess of £150,000 if you are interested please call us on 020 7118 7570.  Depending on the investment option you choose, you will have a choice of either quarterly or annual interest payments - paid straight into your Innovative Finance ISA account or bank account. Enjoy a choice of terms to meet your investment requirements. Earn a fixed income over either 12 or 18 months. Demand for UK short-term property lending is now around £4 billion annually. Much of this growing demand is being met by specialist lenders such as Amicus. Your loan to Amicus is eligible to be held in a new Innovative Finance ISA and also qualifies for your Personal Savings Allowance of up to the first £1,000 of interest tax-free. Can I lend via my ISA? • 5.43% p.a. over 18 months. Depending on your investment option, you have the choice of interest paid quarterly or annually. Your interest is paid directly to your bank account or Innovative Finance ISA account. The minimum investment is £1,000 and the maximum is £500,000. The target amount is £15 million. Your money will be used to provide short-term (6 to 18 months) loans to purchase, refurbish or redevelop residential and commercial properties in the UK. Yes, you can invest via a Small Self-Administered Scheme (SSAS) or Self-Invested Personal Pension (SIPP). Please call us on 020 7118 7570 for more information. You can hold your peer to peer loans in a new Innovative Finance ISA. The borrower is Amicus Finance plc. While your money is on deposit and before a relevant loan offer period commences, it will be held in a separate bank account which is managed by the Custodian, Reyker Securities plc. This account is covered by the Financial Services Compensation Scheme up to £50,000 per investor. When your money is lent to Amicus Finance plc, it will be secured over the assets and business of Amicus currently totalling over £50m (as of October 2016) including loans to customers, secured on UK property. Interest will be paid gross. It’s up to you to calculate and pay any tax that may be liable on these payments.